As per the data from ATM’s research partner Colliers, overseas arrivals to Saudi Arabia are hoped to grow 5.6 percent annually from 17.7 million in 2018 to 23.3 million in 2023. 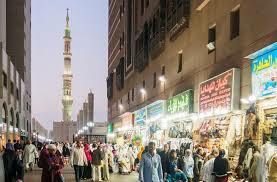 Religious tourism is anticipated to remain the main basis of the sector in the next decade, with an estimated target of luring 30 million pilgrims to the kingdom by 2030, a growth of 11 million from the 19 million Hajj and Umrah pilgrims that explored the country in 2017. Vision 2030 has sideways $64 billion to put in projects related to culture, leisure and entertainment over the next decade, which will importantly add to the appeal of the country as a key touristic destination, as per a recent report from real estate firm Savills. The first phase of the Red Sea project, which is calculated to increase the GDP of the Kingdom by $5.86 billion and will comprise of an airport, marinas, up to 3,000 hotel rooms and different recreational activities, is anticipated to get finished by 2022. Besides, in 2018, Public Investment Fund of Saudi Arabia has announced the development of Amaala, a new ultra-luxury tourism megaproject which is assigned for completion in 2028. With this development, there will be extra 2,500 hotel rooms – further boosting the accommodation offering for domestic as well as international visitors alike.